Six faces or facets above six prism sides are what 'normal' rock crystals have and extremely rare is TEN faces, which THIS one has...plus a fine, rare dark blue phantom BENDING forward over bright foils. Black manganese making the phantom. 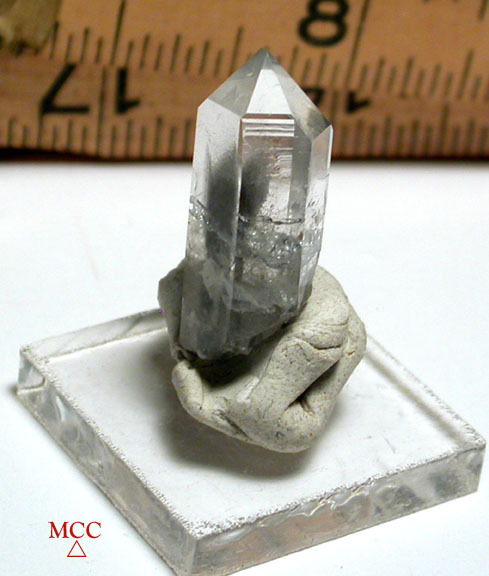 Said to enhance communication with spirit guides. Regrowth begun at the base. 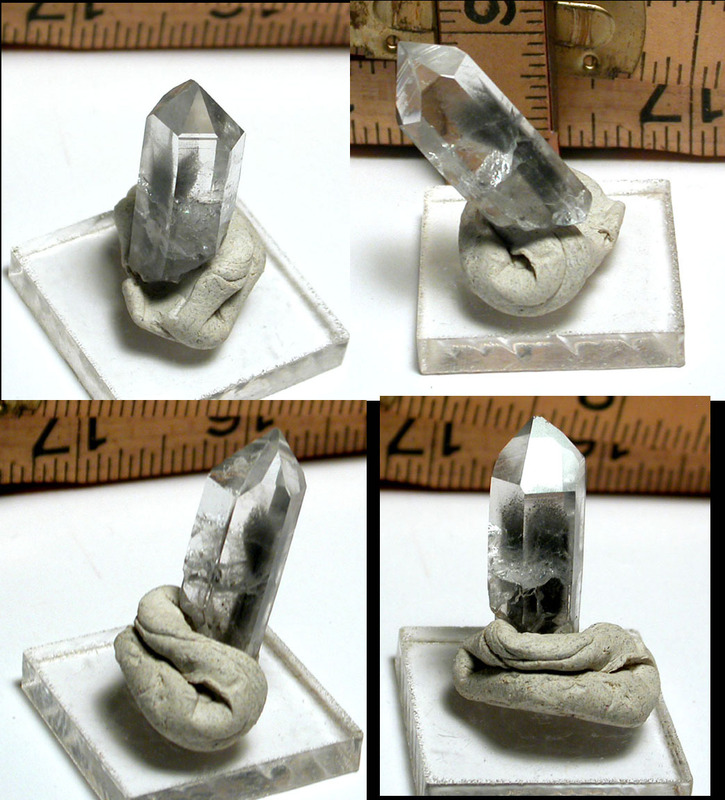 Arkansas, of course, and also a great jewelry candidate at 7/16x 1-1/8" high. Tiny tip flea figured in.